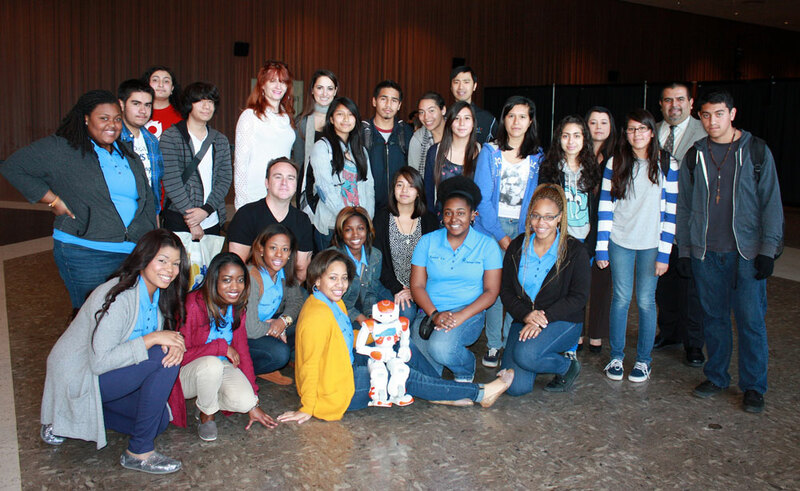 ECS Day: Center X’s Computing Initiative Welcomes LAUSD High Schools, Spelman’s Female Robotics Team. The Exploring Computer Science program brings computer science, academic confidence to female students, students of color. By Joanie Harmon, published Feb. 28, 2013 on UCLA Ed & IS Ampersand. 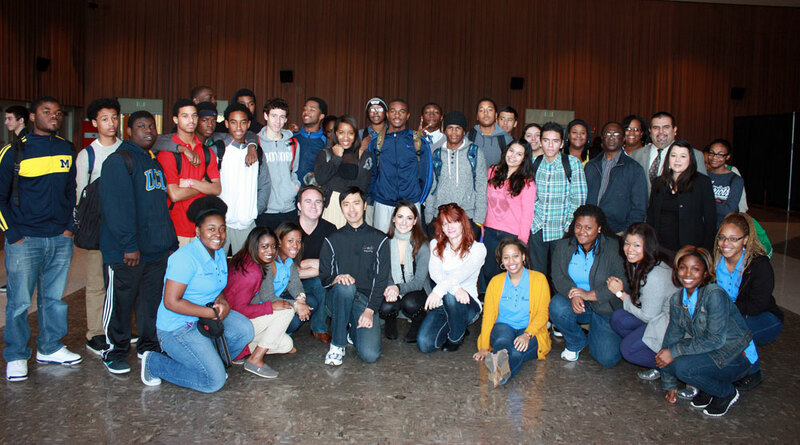 On January 31, the ECS team hosted the 4th annual ECS Day at UCLA. Over 400 students, teachers, and administrators from LAUSD attended the event along with our presenters, the SpelBots of Spelman College, Google employees from Google Los Angeles, Gerardo Loera, the Executive Director of Curriculum and Instruction for LAUSD, and Y’shua Ortiz, an ECS alum currently working for Edlio. Student work was also showcased and various students from each school were recognized for their efforts and achievements. Prizes were donated by Google, Edlio, and Lego. Each presentation served to break stereotypes of who excels in computer science, provided students with positive role models, and encouraged further study and exploration of computing and robotics. Students had the opportunity to interact with the SpelBots and Googlers and to ask them questions that demonstrated a strong level of interest and engagement. Teachers indicated that they were honored to be able to bring their students to this event and that their students loved the opportunity to see the presenters.